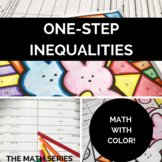 These word problems are designed for middle schoolers to be able to relate to them and picture them in their real lives; either now or what they want in the future. 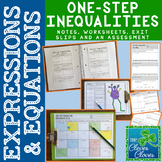 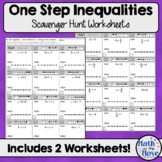 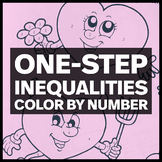 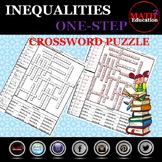 Contains: 10 - One Step Inequality Expressions 8 - One Step Inequality Equations Fully editable and customizable. 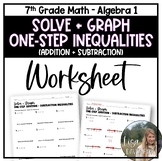 This worksheet includes 12 practice problems. 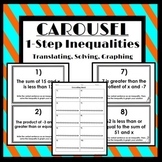 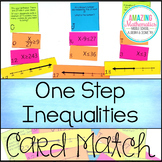 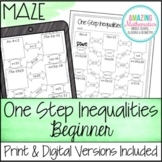 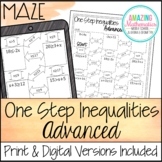 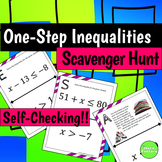 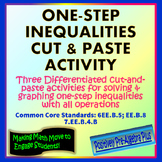 Students will solve each of the inequalities (one-step involving addition & subtraction only). 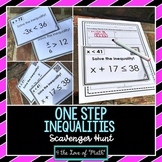 They will then need to graph each of the inequalities on the number line provided.